How do I sign up for Harp Academy? 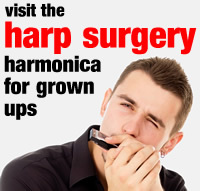 Simply click the Golden Harmonica to register your interest. We will then contact you and run through the options available. In principle, these involve a one-off taster session to check that you’re completely happy before committing, or else subscribing to a term with your first lesson free of charge. For many newcomers, Harp Academy is their first experience of learning a musical instrument. It may also be their first extra-curricular activity. When this is the case, we recommend a taster session to begin with. This allows them to meet their Harp Academy teacher and see how everything works. Alternatively, where newstarters already have a sibling or friend who has enrolled in Harp Academy, it may make more sense to sign up straight away. Either way, take a moment to read our Terms & Conditions. They’re not extensive, so it only takes a moment. They will help you gain a clearer idea of how Harp Academy operates and will probably answer many of your questions. Once you’re ready to subscribe in full, you’ll need a Music Pack. This is available from our Web Store. Your Music Pack is a one-off investment. 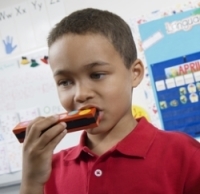 It contains everything your child will need for their harmonica lessons and it’s theirs to keep. They should bring their pack to every lesson. It’s a good idea to write their name on all the contents, as well as the Tuff zip folder itself. You’ll also need to pay for the lessons themselves. Our How To Pay page explains what to do, with options for termly or monthly subscriptions. Please note that tuition payment is always made in advance, but you can cancel your subscription at any time. All we ask is a month’s notice period so that we can make adjustments and recruit a replacement for our group.